With my last post being my first style post, I thought I should follow it up with my first beauty review of the year! 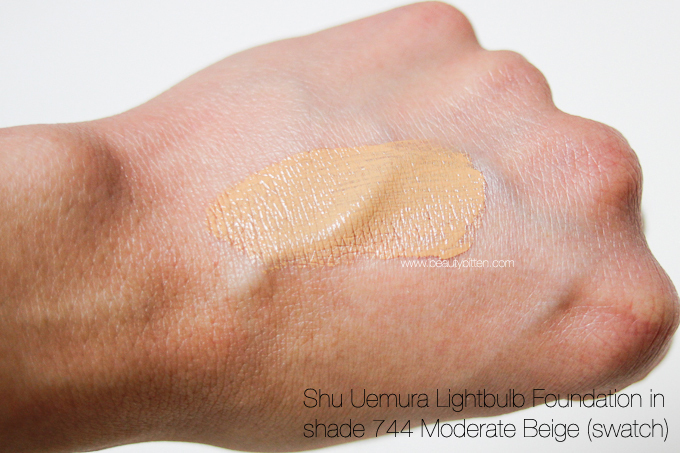 Let me just begin this review by saying, how excited I was when I received a sample of the new (in the States) shu uemura Lightbulb foundation. 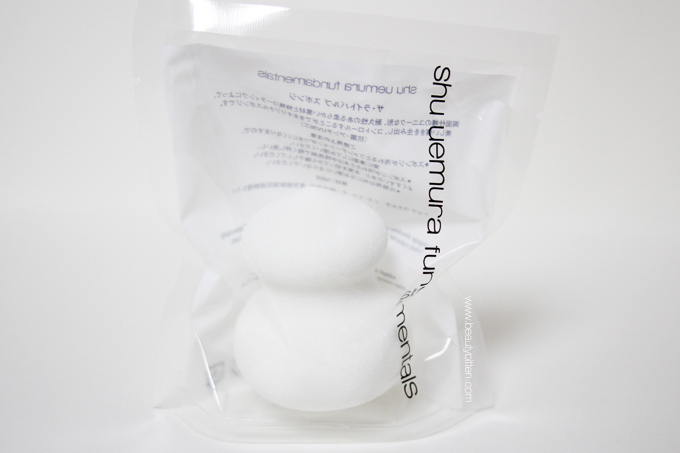 I've been a fan of shu uemura cosmetics and skincare since I started dabbling with beauty products a few years ago (love their cleansing oil and their eyelash curler). 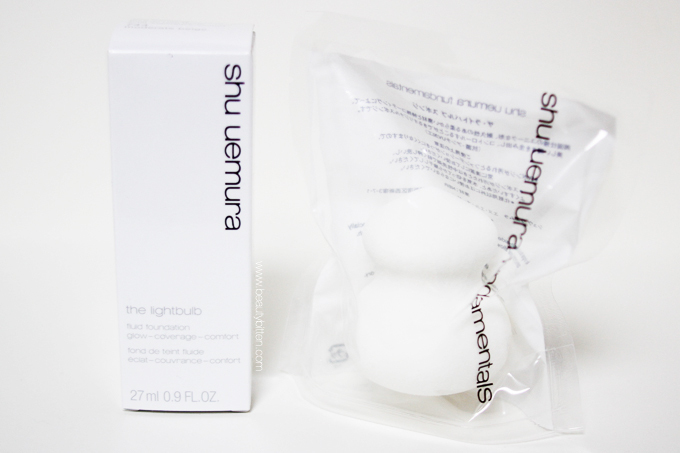 And, I was also pretty heartbroken when shu uemura was only going to be available online and would no longer be available at beauty counters here in the U.S. back in 2010. The Lightbulb foundation finally made its way to the U.S. I've read some reviews on this foundation how this was kind of a big deal Asia. 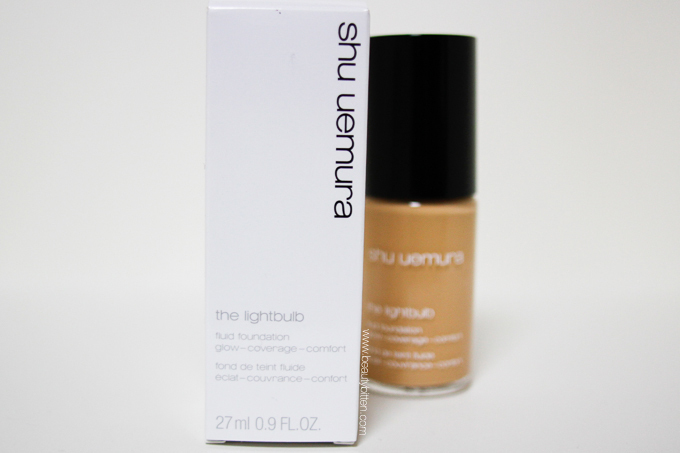 It claims to give you a glowing, luminous skin under any light with perfect coverage. Glowing... dewy... luminous... maybe not exactly the first few adjectives that I look for in my foundation for my combo (mostly oily) skin. But I gave it a shot since it is winter and my face tend to be drier around this time. They recommended to apply the foundation with the sponge that came with the set. It's white, pillowy soft, and it reminds me of a marshmallow for some reason. Since the sponge is very, very white, it will be a difficult to keep it clean after using it. I do wish that the sponge came in some sort of plastic casing rather than just in a plastic bag. The inner germaphobic in me is mildly freaking out figuring out what to do or how to store the sponge after use. I haven't used a sponge to apply my foundation ever since I picked-up my very first compact foundation, so applying my liquid foundation with a sponge was foreign to me. However, I found it very easy to apply my foundation using the sponge. 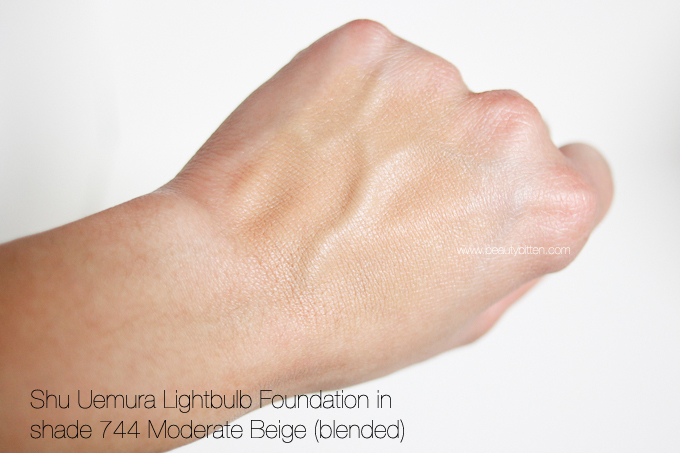 I used a tapping or stippling motion to apply my foundation for a more airbrushed look. The sponge really helped distribute the foundation evenly on my face using very little product, yet still providing medium coverage. The doorknob (or lightbulb) shape of the sponge also made the application easier. The round flat end helps with the overall application while the pointy side of the sponge helps get into the crevices of your face for more precision. The shape and design of the sponge also makes handling easier. 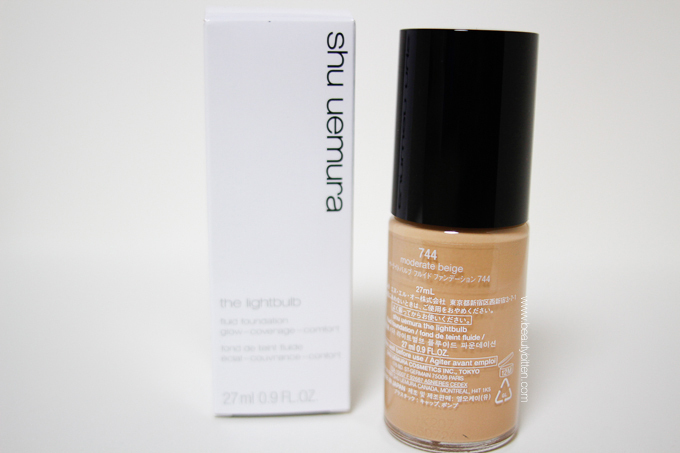 The consistency of the foundation is very creamy, but doesn't feel thick or heavy. After a few tries, I found that I only need half a pump to even out my skintone and cover any redness. I first dot some foundation all over my face, and then use a tapping motion to blend out the foundation for a natural looking finish. A little product goes a long way. The foundation is buildable and provides medium to full coverage. As I've mentioned earlier since my skin tends to be oilier sometimes, and I look for foundations that has a matte finish. 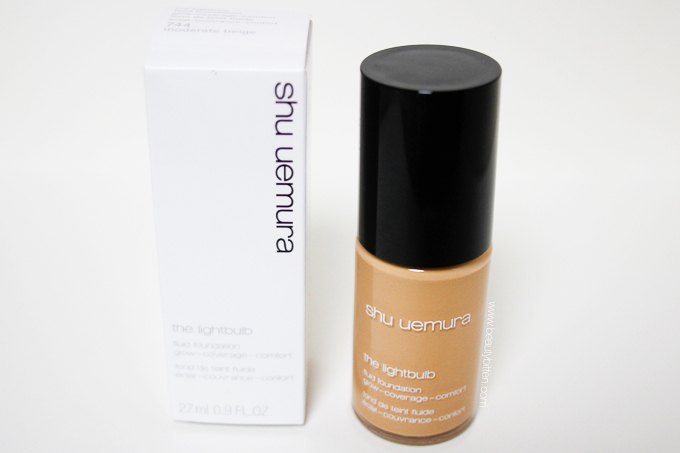 This foundation will probably work better for normal to dry skin because of it's luminous or dewy effect. Combination to oily skill will definitely need the help of a primer and some powder to prevent looking like an oil slick. I do like wearing this foundation for work since I'm inside most of the time. I found that since I'm in a controlled temperature environment, my skin tends to be more on the normal side and I get the fresh effect that the foundation was meant to do. My face is actually glowing (not shiny from my oils). However, if your face tends to get really dry (like my face does when it wants to be difficult), it will accentuate your dry spots. So make sure that your face is moisturized. For office wears, I found that the foundation lasted the whole work day (9 hours). 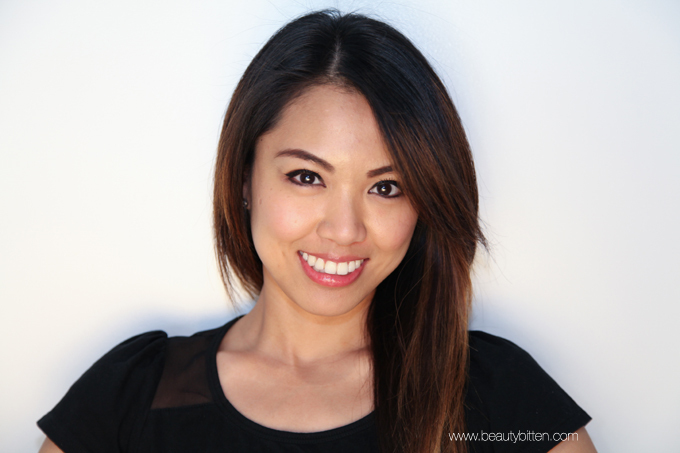 The glow factor of the foundation lasts a good 4 hours for me without the desire of blotting. I find myself blotting occasionally after the four hours has passed. However, I didn't notice any creasing or fading of the foundation. But, anything over 9 hours while I'm at work or if I'm outside for the most part of the day, my face ended up being really oily. The one thing about this foundation though that it easily transfers. I tend to touch my face a lot when I'm at work, and I started noticing that my reports starts to have foundation stains on it (because I touch my face and then my paper). I can only imagine that this will easily stain your white shirt if you're not careful. 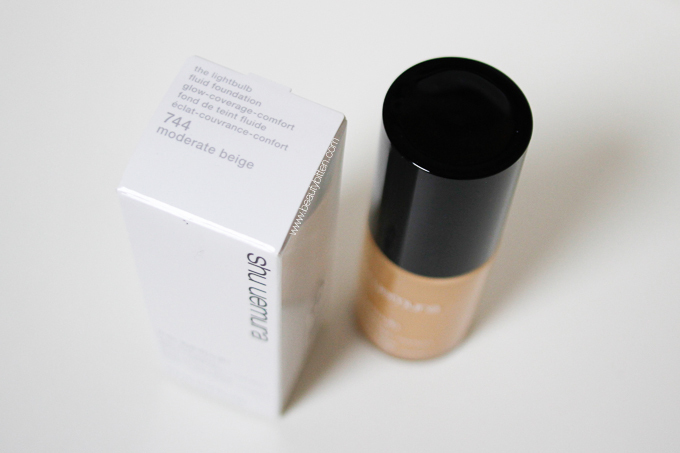 Overall, I'd use this foundation more during colder seasons, nighttime, or when I'm filming. I love the coverage that it gives and how this foundation is a good match to my skin. It doesn't feel heavy or cakey on my face yet it gives me a nice glow that translate well in video. However, I don't like how my face tends to get really oily when I wear this foundation when I have to be outside for the most part of my day. Oh, and a little product goes a long way (pea size amount is more than enough). 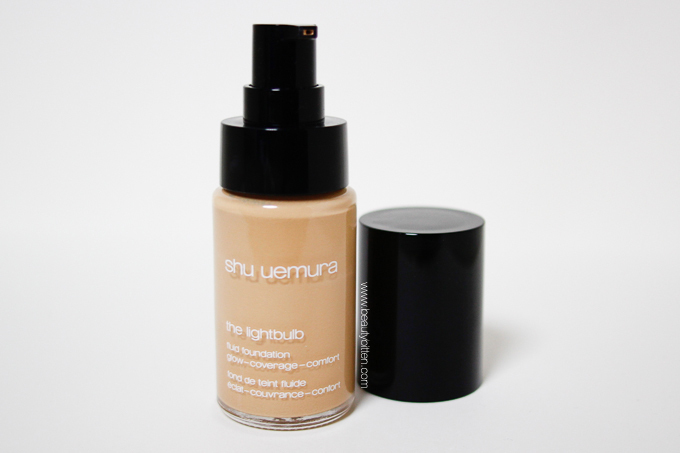 If you're looking for the fresh and dewy look, this is the foundation for you. You can skip the highlighting powder with this foundation because it'll instantly give you that effect. I would skip this if your skin is more on the oilier side. 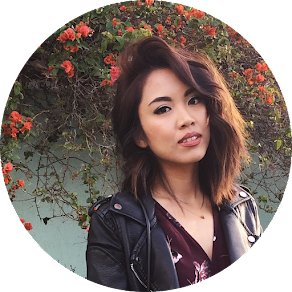 Disclosure: This post is sponsored by Made in Blog. All opinions were my own and were not influenced by the company. Please refer to my Disclaimer page for more information. since you said that the foundation transfers easily.. what are u currently using or what do u recommend that does nt transfer as much.